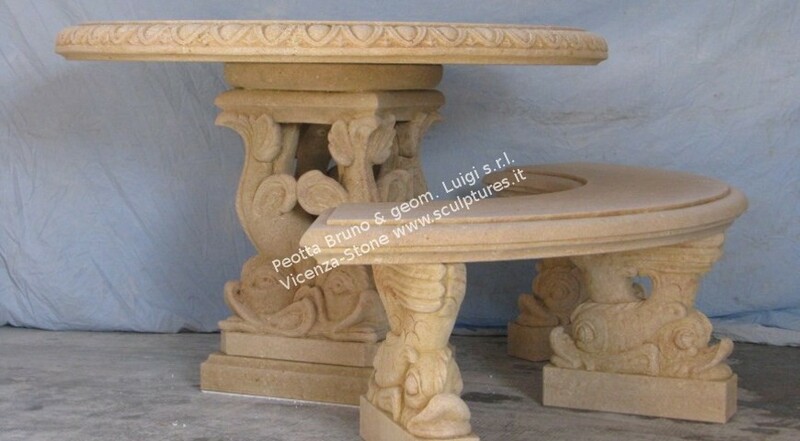 Rounded stone table with squared base and circular bench decorated with hand-carved dolphins. 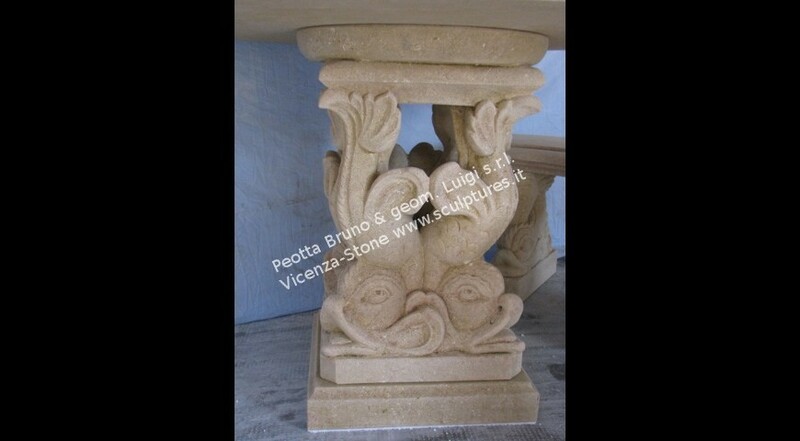 The table base has a squared section with four dolphins and provides a central support to the table. 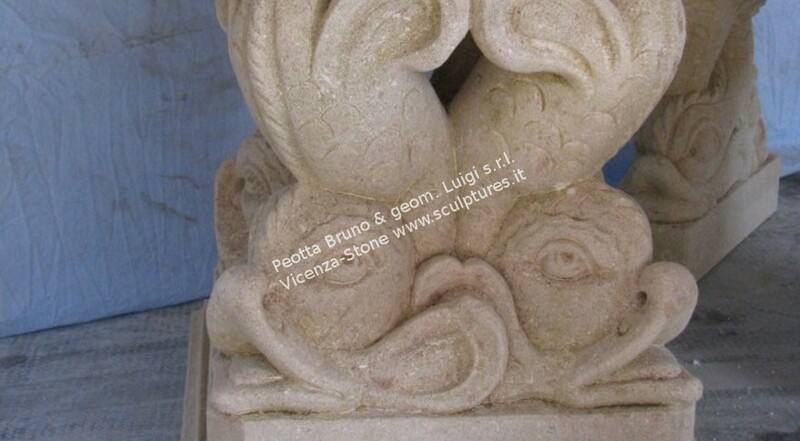 The supports of the bench are carved with the same pattern of the table base. The both supports can be applied to rectangular or rounded tables and straights or curved benches.